Palm Springs area...Here we come! 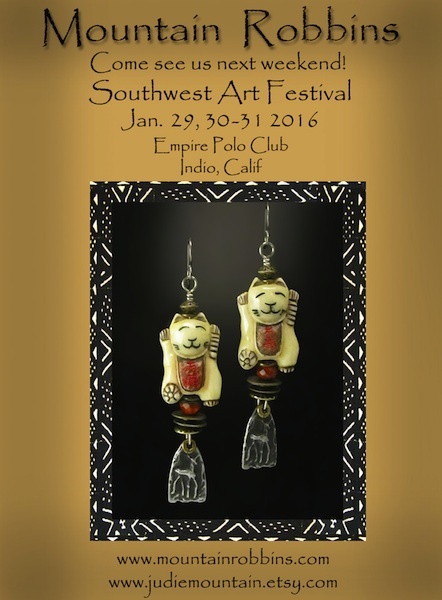 Come out to the Palm Springs area and visit us at the annual Southwest Art Festival held on the Empire Polo Grounds in Indio, Calif. We will be showing our new work and sharing the spotlight with over 250 nationally known artists. This is a beautiful show sprinkled with palm trees and, more often than not, blue skies. We are booth #127. Hope you can stop by!